We at The Healer Within would love your feedback on what type of treatments, classes or workshops you would be interested in participating in. We would really appreciate it if you would take the time to complete this quick survey. If there are courses or treatments that you would be interested in, but don't see them listed below or on our website, please do not hesitate to email us with your suggestions at freedom-angel@hotmail.ca. We would love to provide you with what you are seeking. On this website you will find information on the services I offer; healing, meditation classes, psychic development, and Reiki Classes. We have many other teachers of different modalities teaching courses at the Healer Within, please visit our calendar to get up to date information on upcoming courses. My aim is to assist you in the development of your spiritual growth, allowing you to establish your own belief system. 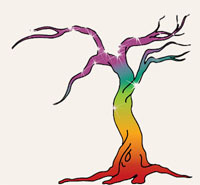 My time is largely devoted to intuitive energy healing and teaching courses. At these times, I am lovingly and generously assisted by my spirit guides and angels. I also welcome emails. My journey is to help you in any way that I can.